Jon 'Bowzer' Bauman wears black high top Converse All Star “Chuck Taylor” sneakers in the series. The cast of Sha Na Na. 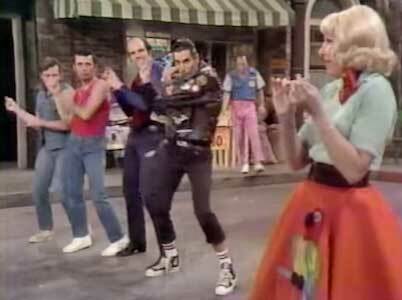 Sha Na Na was a popular variety TV show that ran from 1977 to 1981. 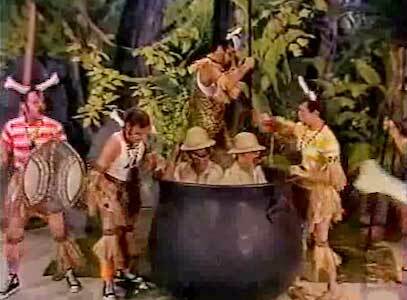 For 97 episodes, the show was hosted by the popular rock & roll/comedy group of the same name. The show featured the group performing hits from the 1950s and 60s along with comedy skits. The show prided itself on using nostalgic themes, but incorporated a modern twist by accompanying these throwback tunes with performances from well-known modern acts. The group Sha Na Na got their name from the classic trope of doo-wop songs using nonsense syllables, such as in "Get a Job" by the Silhouettes. The group outfitted themselves in leather jackets, pompadour and ducktail hairdos to capture that 1950’s “greaser look”. This style went with their repertoire of classic fifties rock and roll, where they both honored and parodied the music and culture. The original TV show line up consisted of Jon “Bowzer” Bauman (vocals), Lennie Baker (sax), Johnny Contardo (vocals), Frederick “Dennis” Greene (vocals), Danny “Dirty Dan” McBride (guitar), Jocko Marcellino (drums), Dave “Chico” Ryan (bass), “Screamin” Scott Simon (piano), Scott “Santini” Powell (vocals), and Donald “Donny” York (vocals). The show also featured supporting cast members Jane Dulo (she played the crabby, unapproving Lady in the Window) and announcer Pamela Myers. 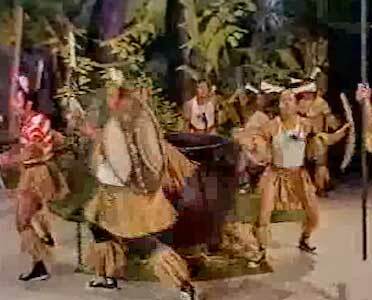 The restless natives wearing black high top chucks in a comedy skit. The show was structured much like other well-known variety shows. There was a introduction of all the cast members, where they were referred to by only their nicknames, after which Pam Myers would kick off the show by saying “And now, here they are, all greased up and ready to sing their brains out, Sha Na Na!”. This was followed by a series of skits and musical numbers. Some notable performances include the group’s covers of “Stand By Me”, and “The Lion Sleeps Tonight”. The show would would then close out each week with Bowzer saying “Good night, and grease for peace!”. 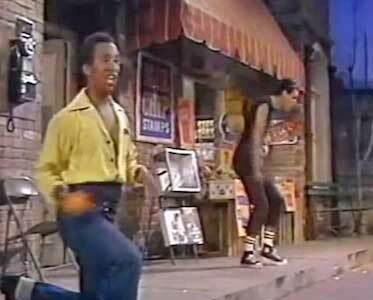 Sha Na Na would then sing “Goodnight, Sweetheart, Goodnight” as the show closing theme song. It was a simple, but effective show format that brought a lot of good tunes to a new generation of listeners. Bowzer in his signature black cutoff shirt, black jeans, and black high top chucks. With the show living off the aesthetic of the 1950’s, and the group often dressing as “greasers”, you’ll have no hard time finding a pair of chucks while watching. Bowzer can almost always be seen wearing his signature outfit of a black tank top, black jeans, and black high top Chuck Taylor All Stars. The rest of the cast has a more varied wardrobe, but they too often wear black chucks in their skits and performances. 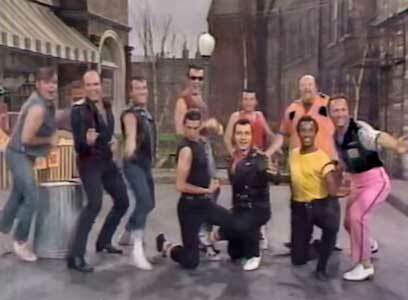 Due to it’s focus on great music, a simpler time, and good, clean fun, Sha Na Na holds a special place in the hearts of a generation that just wanted to “grease for peace”.